On Friday I travelled to Edinburgh with a group of technology journalists to get some hands-on time with Acer’s latest gadgets. I’ve written some rapid reviews of the svelte Liquid Jade smartphone, the surprising Switch 10 convertible tablet and the disappointing Liquid Leap smart band. Now, it’s time to look at the final piece of the puzzle – the Android Iconia Tab 8 Android tablet. The Iconia Tab 8 is a mid-range Android tablet, offering competitive specifications for its £170 price point. The 8-inch display has good viewing angles and resolution at 1920 x 1200 – this is a big improvement over 1280 x 800 displays that were standard at this size a few years ago. The 16:10 aspect ratio of that screen splits the difference between 4:3 screens (like the iPad) and 16:9 ones (like most monitors and all HDTVs). 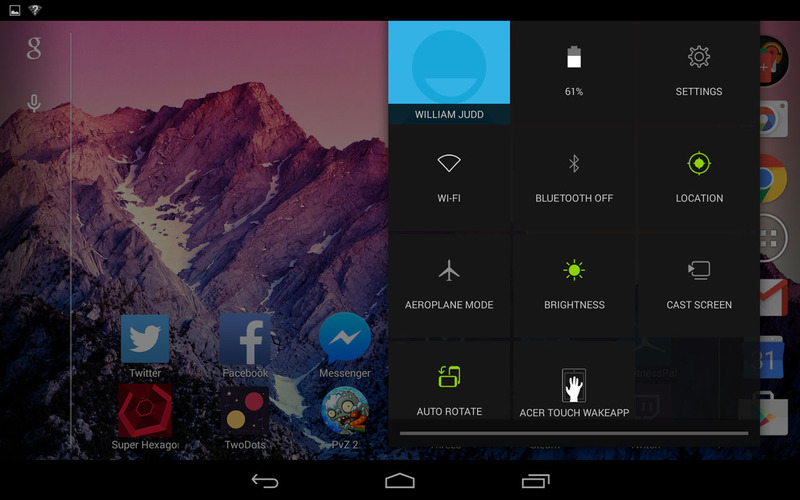 The quad-core processor seems able to handle navigating around Android 4.4.2 KitKat well, although in the latest games it’s a little sluggish compared to more powerful options. The cameras are reasonable, but you won’t see very good results compared to the average 8, 13 or even 16-megapixel phone cameras. Battery life is only average for a mid-size tablet, with a 4600 mAh battery providing only 7.5 hours of battery life when watching videos. The port selection is good though, with a micro HDMI port allowing you to easily connect to HDTVs, projectors and monitors without the need for a microUSB adapter; wireless mirroring is also supported. The inclusion of microSD to supplement the limited 16GB internal storage is also appreciated. Out of the box, the Tab 8 feels high-quality although there’s little innovation in its design. The front of the tablet is quite ordinary, with generously-sized white bezels flanking the 8-inch display. The only other elements to the front are a slightly off-centre front-facing camera at the top and an Acer logo at the bottom. The metal rear cover provides a touch of class, and stands up well to flexing and poking. The rear is very busy though, with the camera at the top centre, an Acer logo and Intel Inside sticker in the middle, and then a barcode and regulatory information below this. 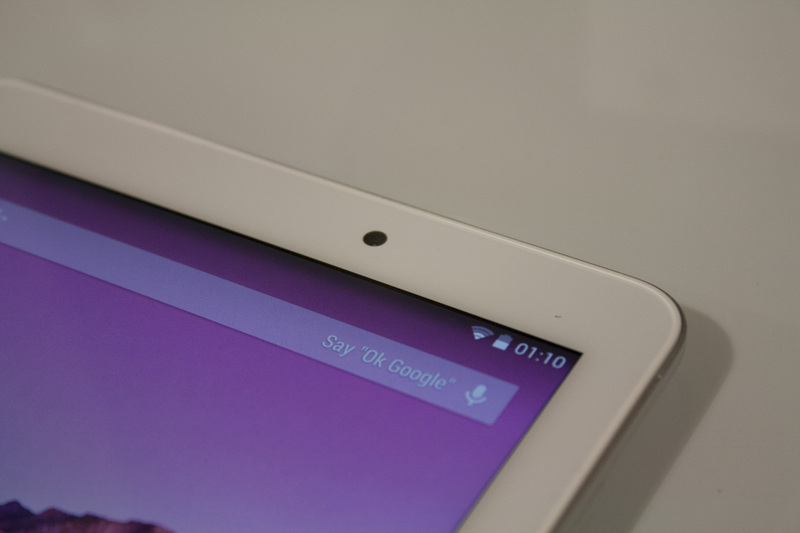 The final element is a stereo speaker grille, embedded just before the bottom of the tablet. Thankfully, the three stickers – intel, barcode, regulatory info – can all be removed, leaving you with a much cleaner-looking tablet. …and a trio of ports on the top. 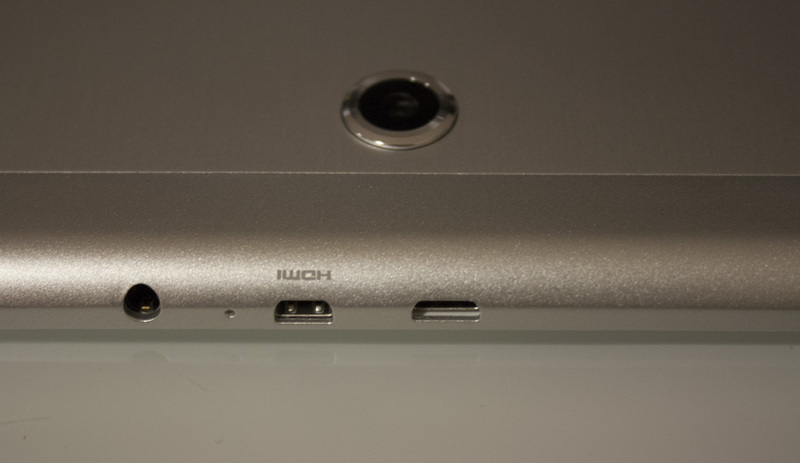 From left to right, we have a 3.5mm headphone jack, a micro HDMI port and a micro USB port for charging and syncing. It’s hardly a novel design, but the Tab 8 feels solid in the hand and works well enough for one-handed use. 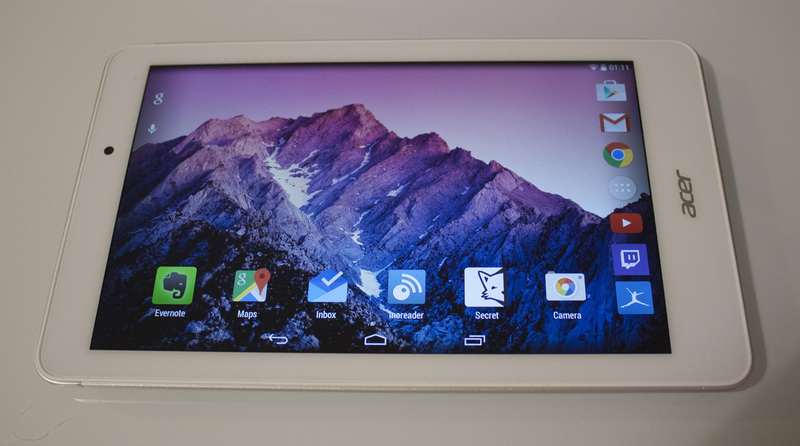 The Iconia Tab 8 runs Android 4.4.2 KitKat, the second-latest version of Android (behind 5.0 Lollipop). 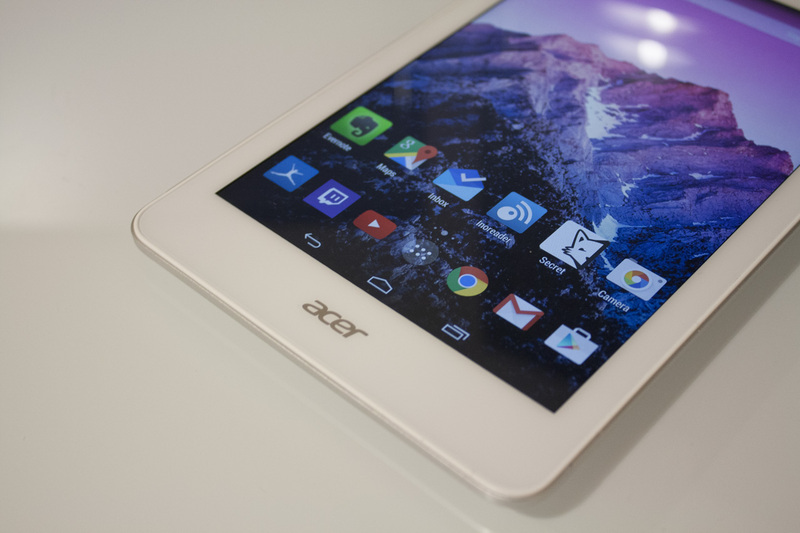 The OS has been lightly customised by Acer, with their trademark green trim turning up in many places. The biggest annoyance is the inclusion of many non-removable apps, from Acer-branded software to seemingly random games and shopping apps. Thankfully, any unwanted apps can be disabled by dragging them to ‘App Info’ text at the top of the screen, then pressing the disable option. This removes any updates (if present) and prevents the app from starting. Disabling all the apps in this way takes about 10 minutes, but presents you with an experience that is much closer to stock Android. 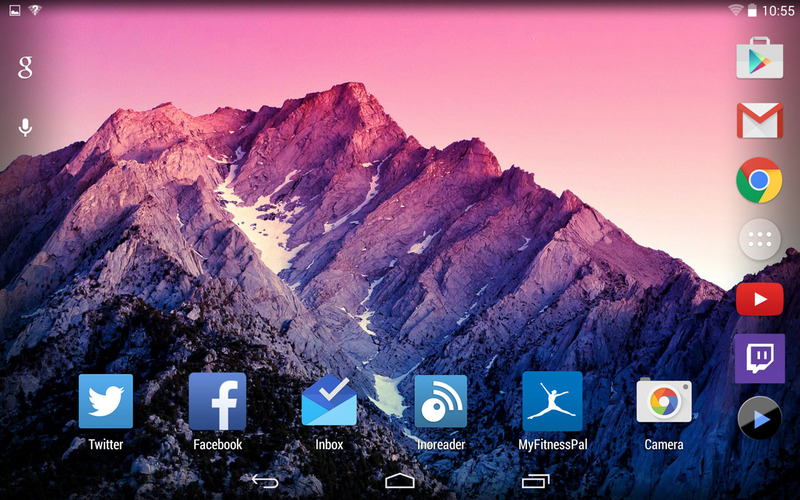 If you are a fan of Nexus tablets, then you can go further to get that Nexus look. I’ve installed the Google Now launcher with its transparent top and bottom bars and updated the Google Keyboard and set it to its Light Material theme. The Google Camera and Photos app are also worth installing. 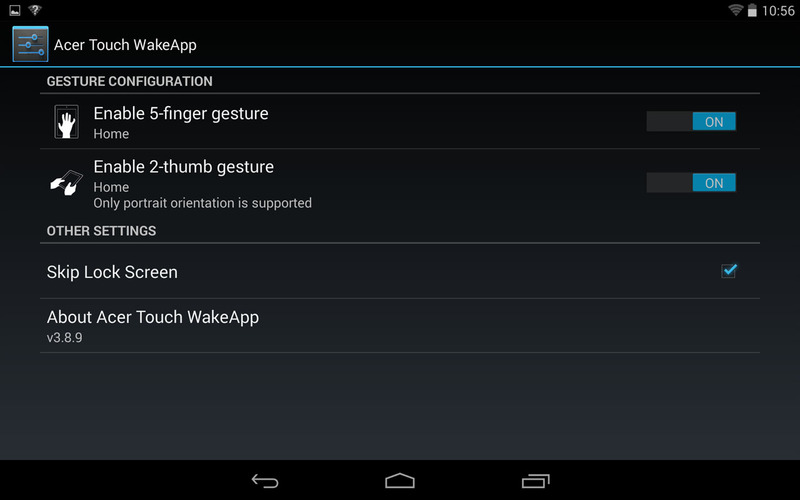 One nice inclusion Acer have made is called ‘Acer Touch WakeApp’. The curmudgeonly name aside, you’ll find it’s possible to launch the home screen or an app of your choice by tapping on the (locked) screen with a gesture. Five fingers at any orientation can be set to one app, while two thumbs in portrait orientation can be set to another; you can also disable one or both features. I’ve merely set these to open the home screen (and bypass the lock screen), but you could also launch oft-used apps like Gmail, Calendar etc. 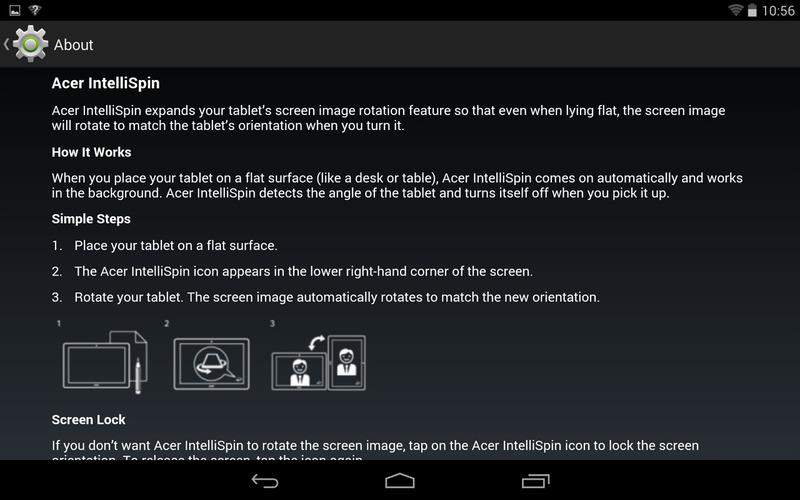 Another feature is called ‘Acer IntelliSpin’, and it’s actually pretty neat. Normally, you have to lift up your phone or tablet for the display to detect you’ve rotated it, but with IntelliSpin you can rotate the tablet while leaving it on a surface. This means you can spin it to face another person without picking it up and putting it down again. The feature is off by default, but is easily enabled and customised in Settings. The loadout on the Iconia Tab 8 is reasonable then; a few annoying non-removable apps but also a couple of cool features you won’t find on stock Android. It’s not quite a Nexus device, but it’s close enough. The rear-facing camera on the Iconia Tab 8 is quite forgettable; while it is fine for the odd picture or scanning barcodes, you’ll never be taking your Tab 8 out into the wild to capture some amazing shots. The 2-megapixel front-facing camera isn’t too bad, and works well enough for Skype and other video calling. The Iconia Tab 8 is a worthy mid-range tablet, helped by a durable metal design and a near-enough stock Android experience. While the battery life isn’t great and there are some annoying non-removable apps, there’s little to really count the tablet out. It offers a better port selection than the Nexus 7 and better specifications than the 8-inch Galaxy Tab 3, so if you can find it for a good price then go for it.